As a PhD you probably have made a research poster at some point, or you are going to make one in the future. You fly half way across the globe to present your poster at a large conference. And there you are, along with 300(!) other posters. So how do you make your poster stand out? What are good ways to make your poster attractive enough to make people stop and actually read your poster? In this blog I will give you some tips and tricks to make your poster more attractive and what you can do to stand out in the crowd. 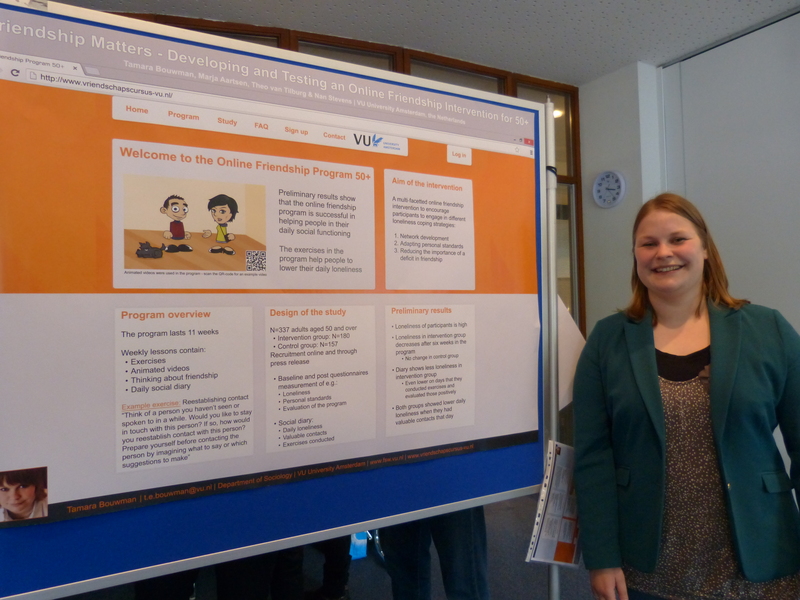 In March the Graduate Platform hosted a poster workshop, followed by the First VU University Amsterdam, Faculty of Social Sciences PhD Poster Market mid-April. On mid-March about 20 PhD-candidates from within (but also a few from other faculties) gathered in the Graduate Room for a workshop ‘Successful poster design’. The focus of the workshop was to learn how to make a research poster as attractive and interesting as possible. 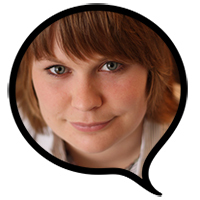 Louise Mennen is a very experienced trainer and provided the PhD’s with a lot of valuable information on poster design. I will sum-up some key point that you might want to take into account. o 30 seconds to keep the attention and to get your overall message across: Your key message, or take-home message, should be clear right away. Don’t stick to the regular paper structure of introduction, methods, results, conclusion/ discussion (which is usually your key message and in the end). Put the information that is most important on top of your poster, right below the title (maybe even in a different colored box). In order to keep up with the 3-30-300 rule your poster needs to be well-designed. The following, more concrete tips will help you with that. Visuals stand out in a poster – they attract the attention of the audience. It is important to think about which elements to visualize in your research. For example, for my own dissertation I developed and tested an online friendship program for people aged 50 and over. The online program has its own website (you can check out the website here). I decided to shape my poster as the actual website of the online friendship program The poster attracted attention because of the website lay-out – that the research had something to do with a website became clear right away, mainly because of the taskbar at the top of the poster. Keep in mind though that the visuals should support your message. So when you are selecting images or visual representations ask yourself; do these visuals have anything to do with the information next to it? And do they support the message, (and not contradict!) your message? Also, try to add something to your poster that stands out from the rest. In my case, that was a QR-code (a barcode you can scan with your smartphone) which linked to an animated video with an example from the friendship program. Mind the font size you are using, try not to use anything below 24 points (if you have to you can use 18 for references etc.). Also, avoid using different font sizes, try not to use more than two in the main sections of your poster. If your font size varies it makes the poster look messy and makes it harder to read. Don’t use italics, if you want to emphasize something make it bold. Something that even I did not manage to do is keep about 40% of your poster ‘white’ (i.e., without text). Your font size and whitespace should be used in such a way that you can read the entire poster in 300 seconds (remember the rule) and from about 1 meter distance. A nice way to check the layout of the entire poster is to print it on an A4-sized paper and check if you can read everything without trouble. If it is easy to read (font size) and nice to look at, you are heading in the right direction. Remember, it is your poster – so your name should be most prominent on it. If you like, you can choose to put your name on top (below the title) and the names of your supervisors at the bottom. Another nice way to draw attention to your poster (and yourself) is to put a photo of yourself on your poster. That way people know whose poster it is, even when you are not standing next to it. Just a brief tip about the use of colors on your poster. All black and white will be boring, so of course you want to use nice colors in your poster. Do keep in mind, however, that too many colors can be confusing. The general rule to keep in mind here (and with the rest of your poster) is to keep it simple. Try not to use to many colors. Also make sure that if you use a colored background the color of the font has enough contrast. Check out the earlier blog by Robert Paauwe for some great tips. Hopefully these tips are useful for you when you need to present a poster at a conference. They sure helped the PhDs who presented at the poster market and made it very hard for the jury to decide which poster should get the FSS PhD Poster Award. The jury, consisting of five members of the FSS who recently finished their PhD, had the difficult task to decide which of the 21 (!) posters that were presented at the poster market would win the award. I must admit, the tips and tricks I described in this blog worked for me, because my poster won the award at the FSS PhD Poster Market! Great post thanks for share some fantastic stuff i have found here great works informative and helpful tips for us.